Making your own salad dressing should be a given – it’s so easy, you can control all the ingredients, and get very creative in the kitchen. 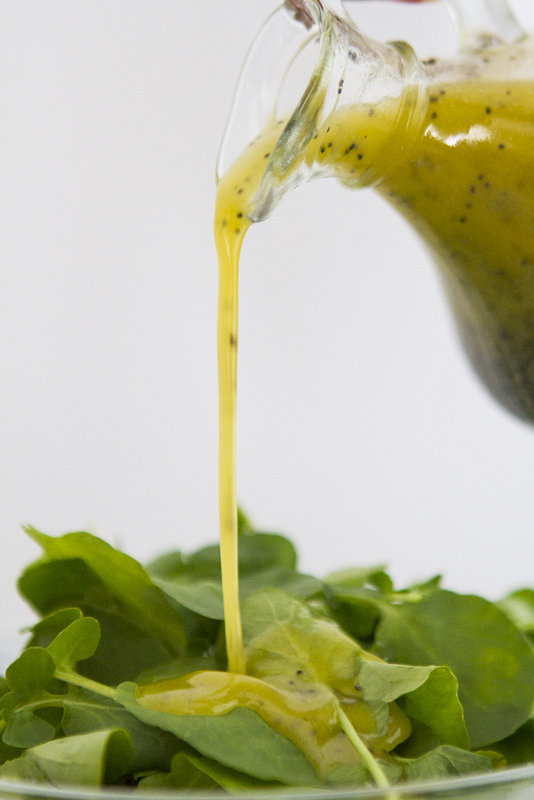 Try your hand with this Lemon Poppyseed Salad Dressing and you’ll never buy bottled salad dressing again! It’s time we make our own dressings. Something so simple, why isn’t everyone making them at home instead of purchasing those $5 bottles packed with fat and sugar and who knows what?! Today, I vow to never again buy a bottle of dressing (unless I’m supporting a local, small batch artisan maker) and make a weekly dressing for us a home. 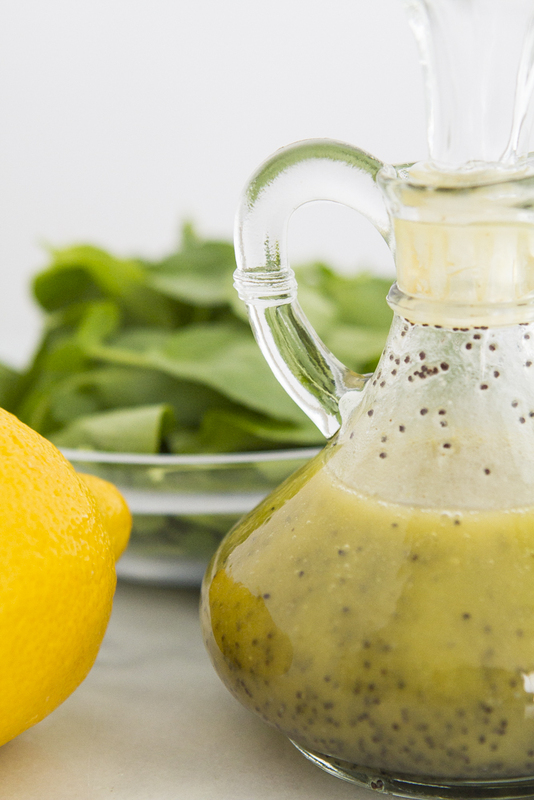 Starting with this Lemon Poppyseed Salad Dressing, which goes so well with all the tender spring green coming up now. Next up, I’ll be trying my hand at a non-oil based dressing and my husbands favorite dip: ranch! Stay tuned for the recipe coming soon, in the meantime leave a comment below letting me know what YOUR favorite salad dressing is – I might recreate it at home for you! This bright and citrusy salad dressing recipe goes well with almost any green - whip up a batch today and keep it in the fridge for the week! Place all the ingredients in a mason jar with lid and shake for 2-3 minutes until emulsified. Store in an airtight bottle or container, refrigerated for up to two weeks. I haven’t bought salad dressing in years. I love all the flavor suggestions in your post, but I’ve never added poppy seeds. Can’t wait to try! beautiful photos! This is probably on of my favorite dressings! I think I’ll to make this without the oil. You have the basis for a 3,2,1 oil free dressing.